The wait is ALMOST over my beauties ! The best darn curling wand you have ever seen is coming ! We introduce the Teyana Taylor Taylor’d Textures Curling Wand by My Extensionz ! We didn’t stop at gold, we have a color for every personality !! Take a look ! 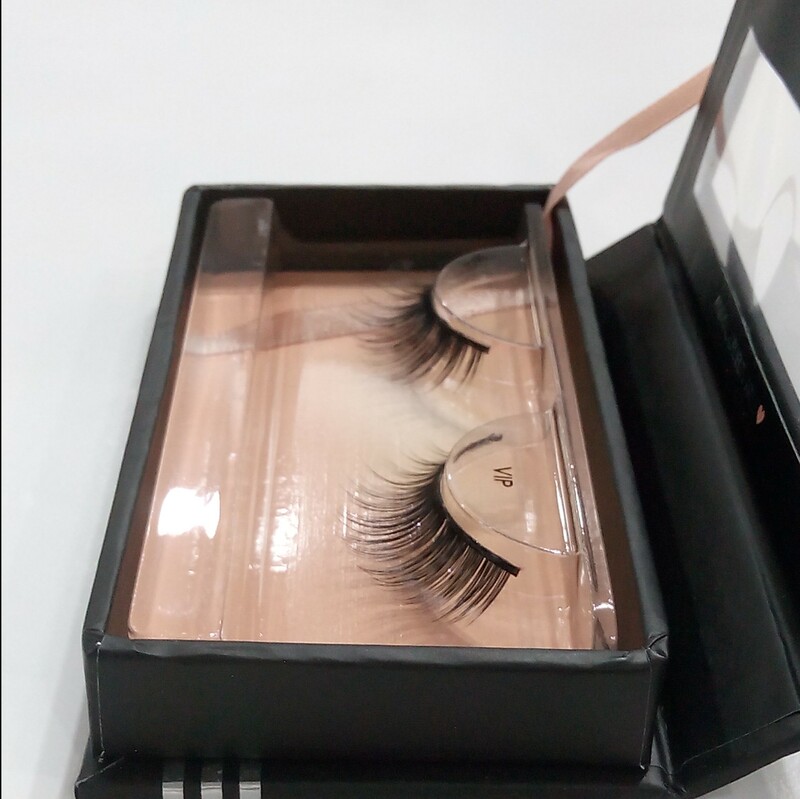 My Lash Extensionz, a subsidiary of My Extensionz produces 100% hand-crafted Siberian Mink lashes that are reusable 27 times or more, and have over 30 pairs to choose from! Exciting isn’t it?! Not to get confused, we’re going to help you choose the right mink lashes that suit your personality,occasion and style. First of all, there are the 2D and the 3D My Extensionz lashes. 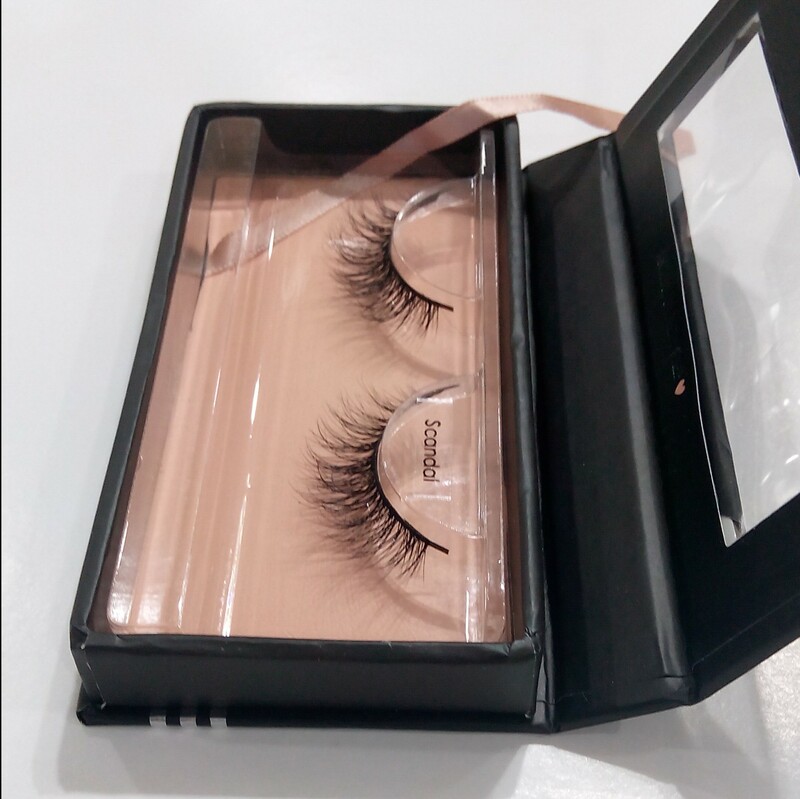 To help you understand the difference better, we will demonstrate with the VIP (2D) and Still Pretty (3D) lashes in our collection (see photo below). 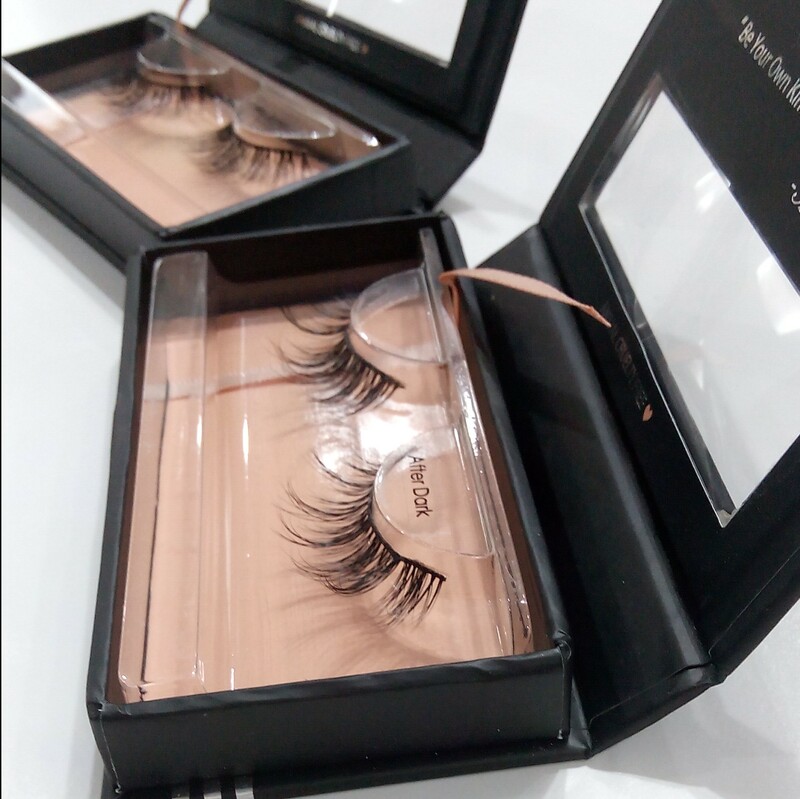 The 2D lashes have one layer of mink hair while the 3D lashes have more than one layer of Mink hair on them, giving you that 3-dimensional effect for your lashes. 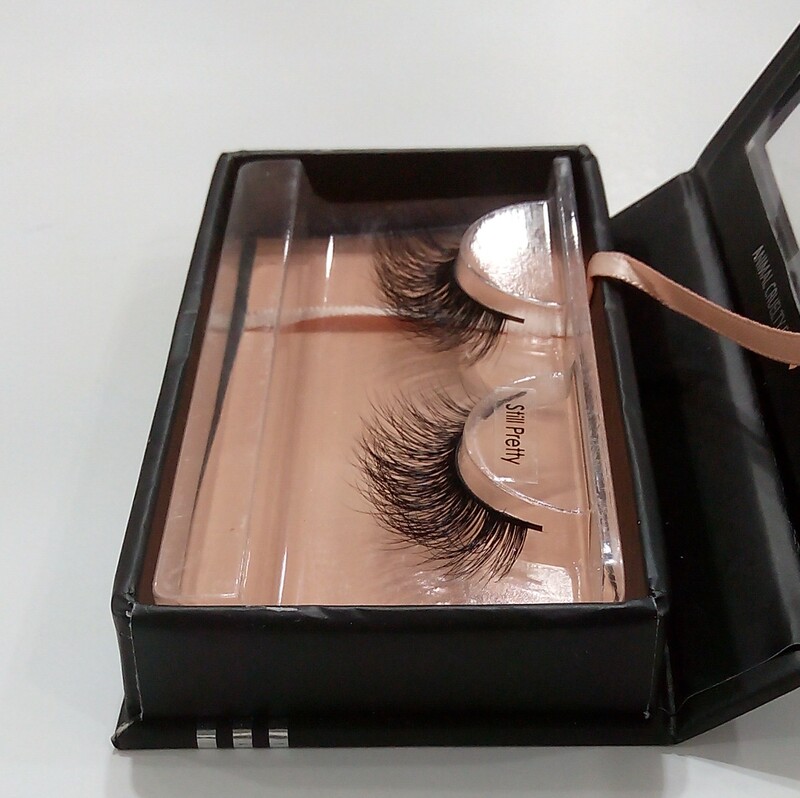 Both lash types are of the same quality and are equally amazing, soft and feathery to the touch. Another awesome feature of My Lash Extensionz is its versatility. 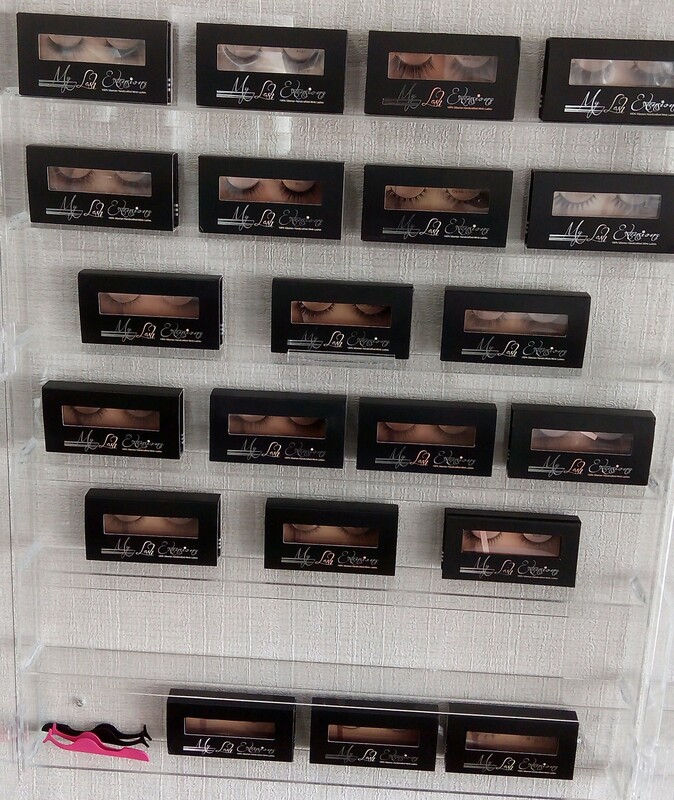 You can choose a natural, semi-natural or dramatic lash, depending on the look you want to create. 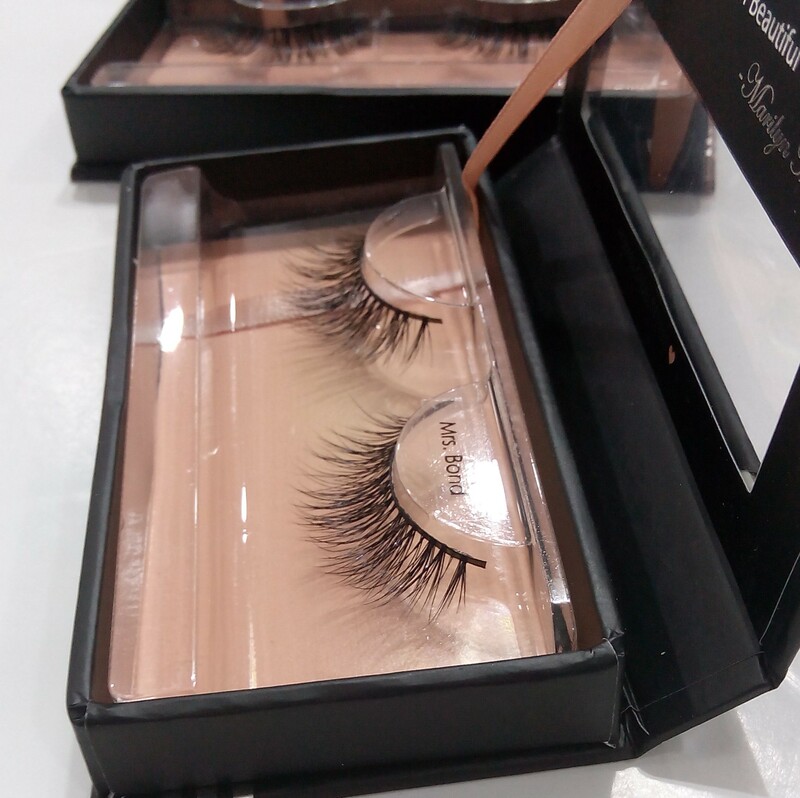 The natural lashes are simple and are recommended for daytime wear and for ladies who don’t want anyone to easily notice that they are wearing lashes. 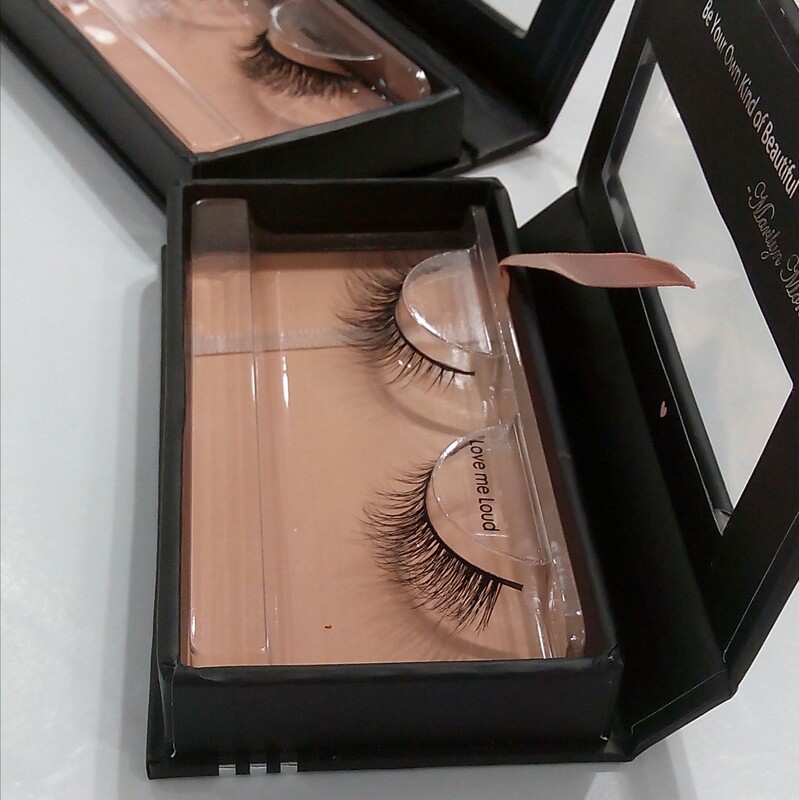 Examples of our natural lashes are “Werk” and “Love Me Loud”. The semi-natural lashes are not too simple, yet not too dramatic. They are suitable for both day and night time wear, and for ladies who want to have a bit of fun, but not go all out. 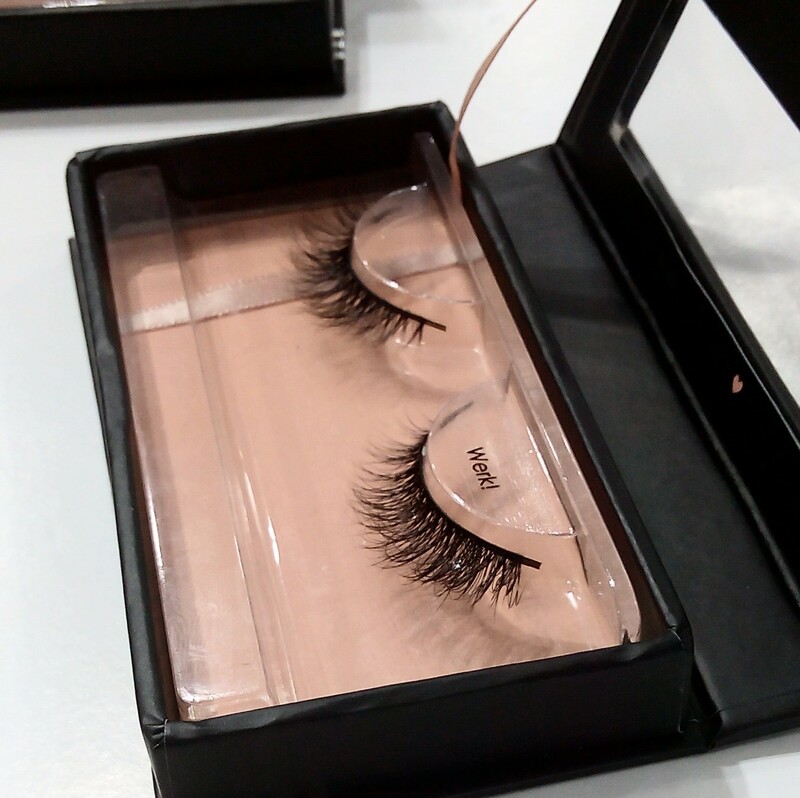 Our semi-natural lash is the one and only, Scandal. Examples of dramatic lashes are Mrs Bond and After Dark. “It’s all in the wand” Teyana Taylor replies when asked for the secret to creating lust worthy curls. ZERO EFFORT, PERFECT CURL! Are you ready? Let’s begin! Wind the section around the loop of the wand. 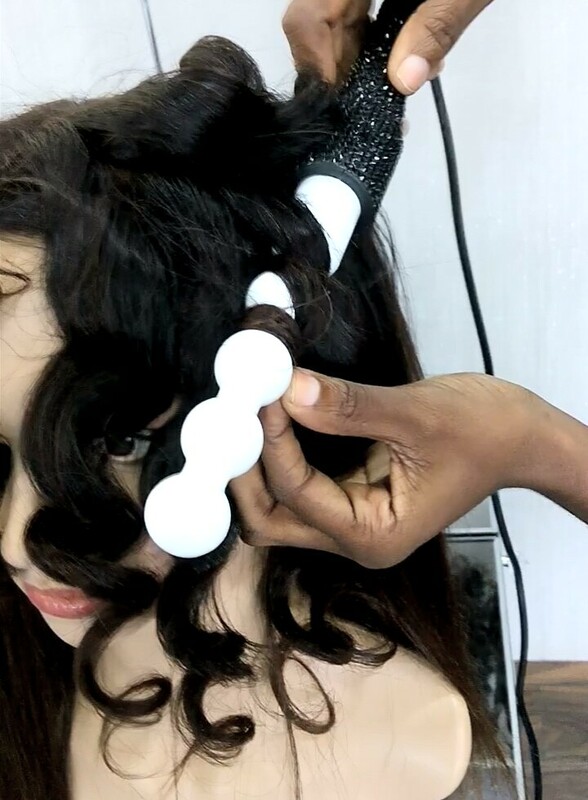 You can create random curls by winding the hair all the way down the wand, creating larger curls where the hair is around the bauble and smaller curls when the hair is wrap around the creases between the baubles. 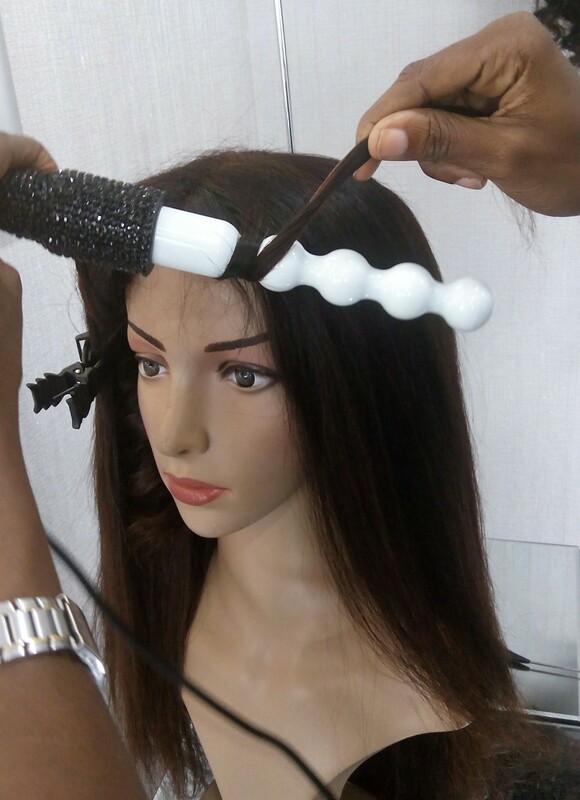 Repeat steps 1, 2 and 3 on different sections of your My Extensionz hair. Finished!Nowyour hair should look like this! Beautiful isn’t it? With the Teyana Taylorcurling wand,you can create the perfect curls for your hair! Easy and conveniently. Nowgorevelinthosebouncycurls! Using henna to colour hair is a fabulous natural alternative to synthetic dyes, it is a non-damaging treatment for the hair and fades less quickly than artificial dyes. It is a transparent dye that coats the hair shaft, binding with the keratin in the hair. It conditions the hair, and gives it shine and body. Choose henna that is body art quality because this type of henna is pure and has nothing added to it. 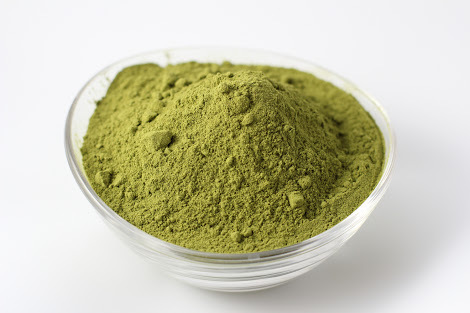 To release the dye effect of henna, use acidic juices (lemon, orange, etc. ), tea, or coffee. Mix a paste that has the consistency of a yoghurt, cover the bowl tightly with plastic wrap and let it sit for 12-24 hours. Then apply to your hair and leave in for 2-4 hours or longer, for a deeper colour. Rinse out and style. Henna will always be green. It won’t come in any other colour. Henna will only give black hair a red tint. Henna does not change hair colour, it only coats it with colour. Henna stains don’t come off, so be sure to use gloves for mixing and application. Also, wear something old and cover your furniture with towels or bin bags. Lesley of Freshlengths has some helpful videos on how to mix and apply henna to your hair. So you’ve seen lots of bloggers/vloggers with long and beautiful hair and you’ve discovered that your hair can be long, it can flourish and it can be healthy, and you’ve finally decided to start your very own hair journey. Starting a hair journey can be a very exciting experience when done properly. It would ultimately change the way you look at yourself and is filled with fun and challenges, setbacks and growth in your hair as well as your personal life. 1. Build a Regimen: When starting a hair journey, you need to build a regimen and this is very important. 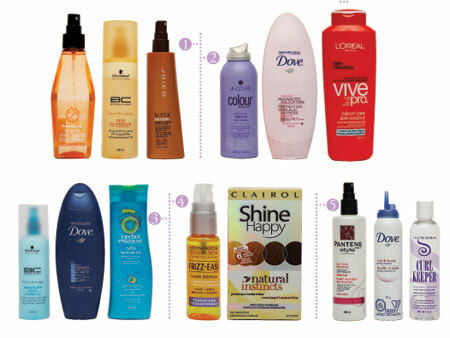 A regimen is a list of products and routines that you would be using throughout your hair journey. This is a list of everything you need in your regimen so you can determine what suits your needs. A water based moisturizer: how to determine if a product is water based is by checking the ingredient list on the bottle. If water (aqua, H2O) is the first ingredient on the list, then it is water-based. If not, it doesn’t matter if it says moisturizing in the front, it is NOT a water-based moisturizer. A sealing oil: This has to be either extra virgin or organic because it hasn’t been processed with heat or chemicals which is much healthier for the hair. “Sealing” simply means adding a layer of oil on your hair after moisturizing it to lock in or “seal” in the moisture. A good deep conditioner: actually, for this, you need two; a protein-based deep conditioner and a water-based conditioner. Your hair needs a protein/moisture balance to be strong, yet soft. Tipping the scales in any direction would lead to breakage – too much protein would make the hair brittle, and too much moisture would make the hair too soft and prone to breakage as well. A moisturizing shampoo: this comes in two types as well; a sulphate-free shampoo, and a clarifying shampoo. A sulphate-free shampoo is one that doesn’t contain any sulphates like Sodium Lauryl Sulphate, Ammonium Lauryl Sulphate, etc. and a clarifying shampoo contains these sulphates because they help remove product build up from the scalp, but using them too frequently would strip your hair of it’s natural oils. 3. Join a Hair forum: there are so many hair forums out there like Hairlista, Kiss.biz, Long Hair Care, you could join any of these as it will help you learn even more tips and tricks. 4. Take Pictures: Taking pictures along the way will help you keep track of your progress because sometimes, it may seem like your hair is not growing, and it would help to be able to look back and see where you are coming from. 5. Be Patient: Sadly, hair doesn’t grow overnight. Statistics show that hair grows at about 0.5” to 0.75” every month, so it wouldn’t help to sit in front of the mirror every single day checking if your hair is growing. Do a length check every 2 – 3 months to really see the effect of your hair journey, in the meantime, focus on something else; your job, school, etc. Doing this helps to make the time seem to go faster. 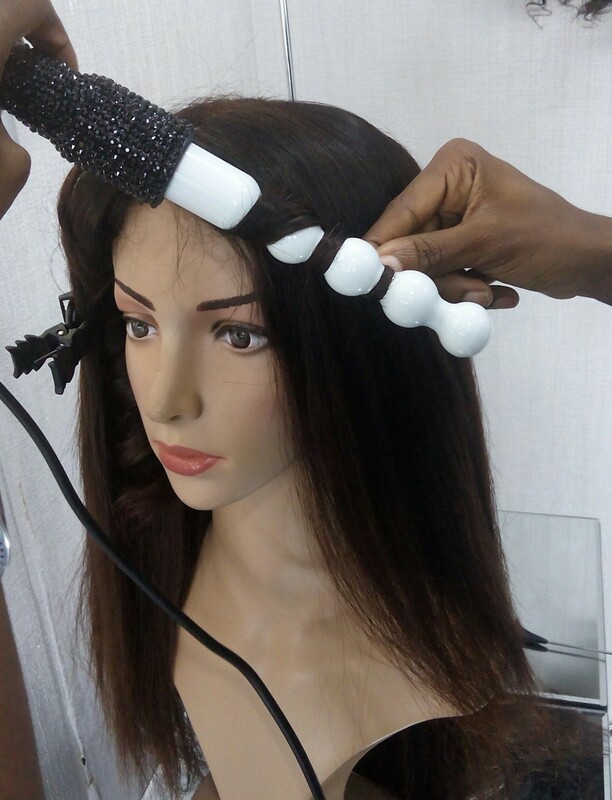 Raising the bar for the trends in the latest virgin hair technology, My Extensionz is happy to announce its official launch in Lagos hereby giving consumers who have a desire for 100% Fine Virgin Hair with exceptional quality and outstanding services. The company plan is to have every woman have an easy access to purchase pure RAW virgin hair extensions to complement their look. “We pride ourselves on providing our customers with consistent access to a variety of uniqueness as well as versatile products that last for years.”- Kehinde Smith, co-owner of My Extensionz. 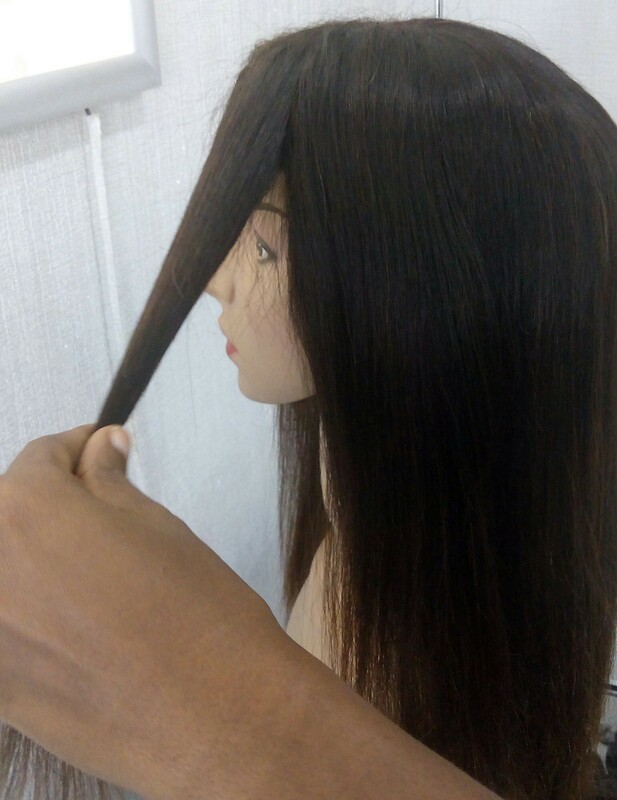 My Extensionz brand new showroom at the Centro Lekki Mall gives you the chance to have the full My Extensionz experience. 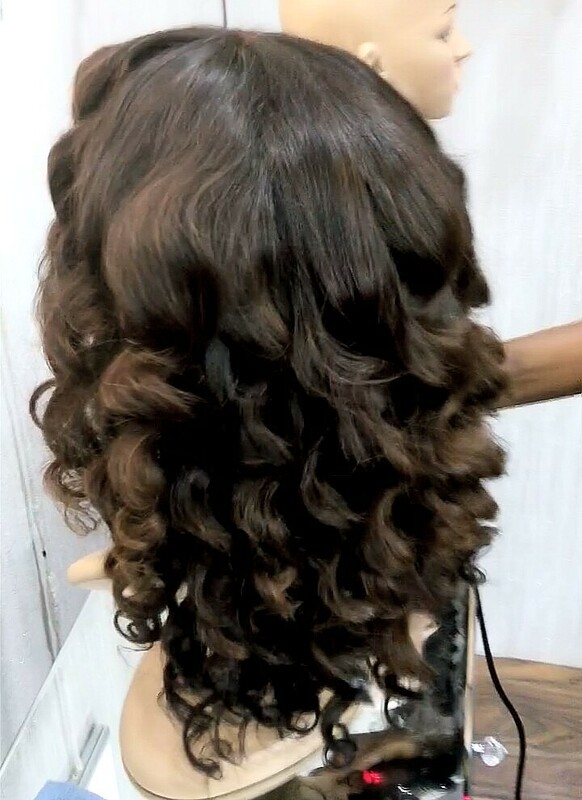 Unlike other suppliers, the company will allow you to have the opportunity to touch and experiment on the hair which helps to give you a better foresight on what suits you the best. The company only employs qualified Virgin Hair Specialists for a more assured service. My Extensionz has graced our screens internationally On BET, VH1, and many more. 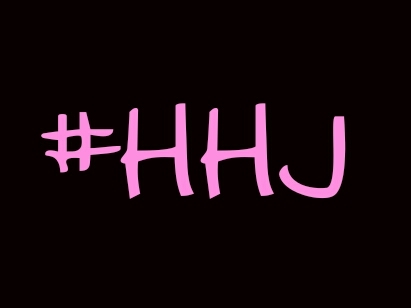 It’s also been featured in magazines such as Essence Magazine, People Magazine, and Vibe to say a few. 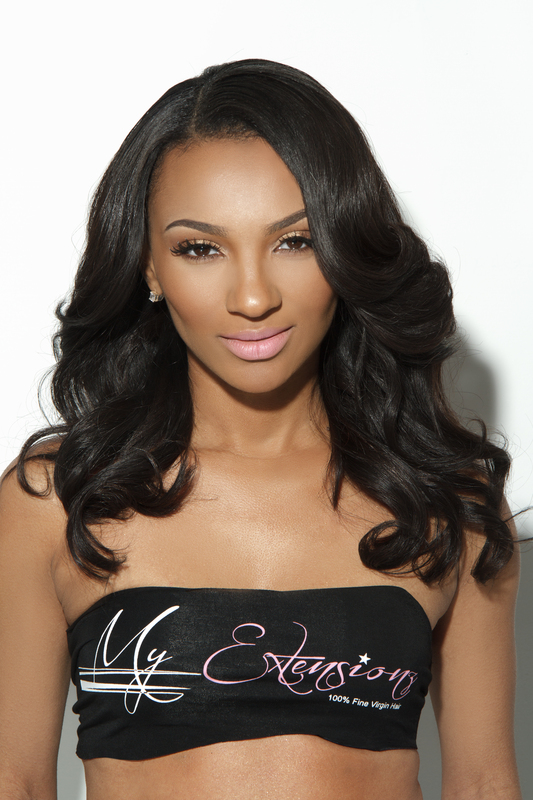 My Extensionz boasts celebrity clients like Yandy Smith and Teyanna Taylor and many more. 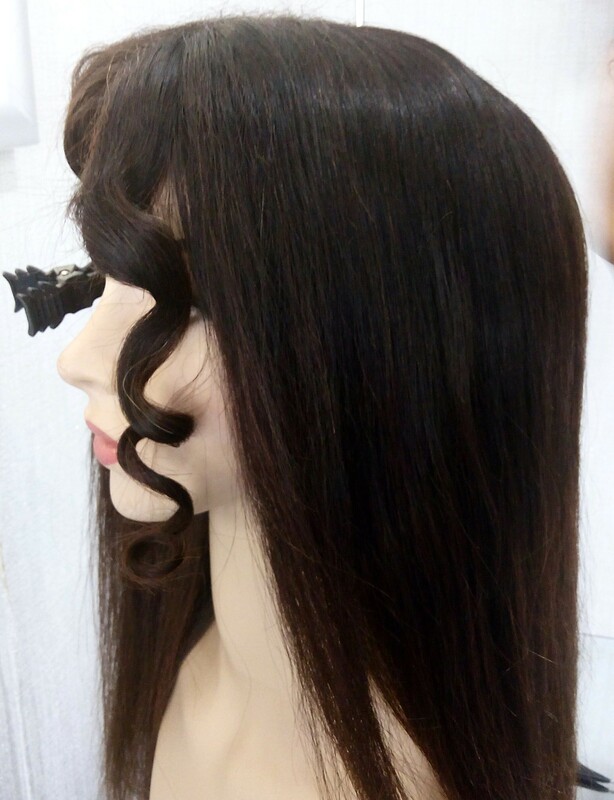 My Extensionz range covers all kind of tailored wigs and hair extensions including luxury clip-in hair extensions, silk/lace top closures, as well as styling tools. All these products can be found in its store and online as well. My Extensionz Collection offers variety to consumers from length, size, hair density, lace color, and cap size. The Company offers products to consumer at a reasonable price for its highest quality. Other services provided by My Extensionz includes: Superior quality mink Eye lashes and Laser Teeth Whitening. 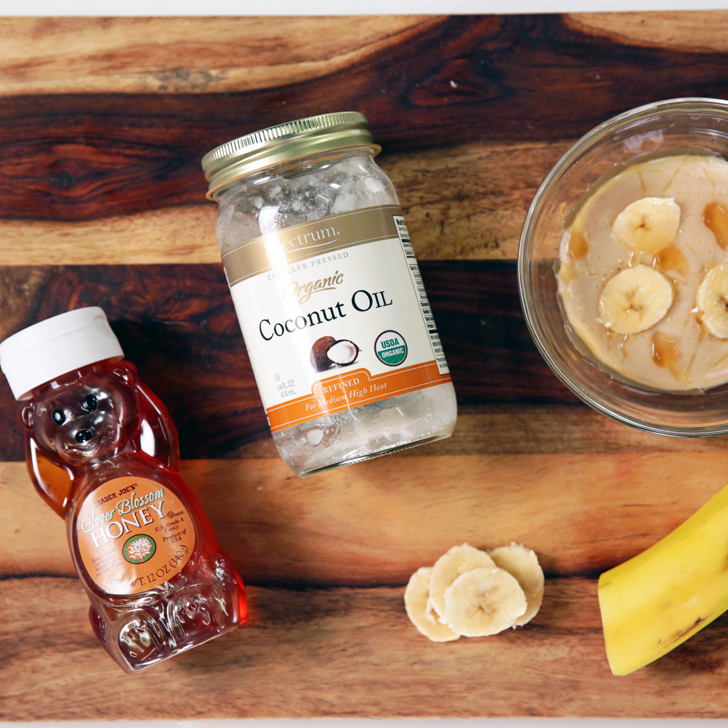 You can whip up this quick and easy DIY mask with the ingredients in your kitchen! Put all ingredients in a bowl and mix. After mixing, put in the microwave for 3 seconds to melt coconut oil. Drench hair in mask and leave on for 30 minutes. The harsh cold weather might be gone but humidity is here to stay. Deep conditioning is perfect for combating the frizz, but with deep conditioning, there are important things to consider. Don’t go broke purchasing products. We can all be product junkies at times but necessary conditioning ingredients can be found in your own kitchen. Spending money on expensive products just doesn’t add up. If you’re mixing your own deep conditioner, use it within three or four days. Keeping conditioner made from natural ingredients that spoil welcomes bacteria. Mix just enough for a one time use. Deep conditioners reach their maximum capacity at 30 minutes and should be rinsed out after. Leaving it in for hours or overnight can cause your hair to become limp and weak.